AKIPRESS.COM - Several employees from Uzbekistan’s top museum have been jailed for selling original art works and replacing them with copies for 15 years, the general prosecutor’s office said on Friday, reports AFP. The chief curator of the Uzbek State Arts Museum, Mirfayz Usmonov, received a nine-year sentence and two other museum staff received eight years each, the Huquq newspaper reported. It did not say when the employees were sentenced in the court in Tashkent, capital of the central Asian nation, nor give details of other staff involved. Between 1999 and 2014, museum workers replaced several original works by Russian and Soviet avant-garde artists, including Alexander Nikolayev, Richard-Karl Sommer and Victor Ufimtsev, who had lived and worked in Uzbekistan last century. They sold them to unidentified clients for $100 to $800 each, the report said. They also sold 25 originals by European artists, including the Italian Renaissance painter and sculptor Lorenzo di Credi. The report said the state had suffered “major” losses but did not provide figures. 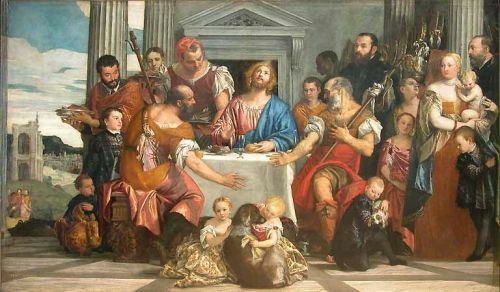 The Italian embassy in Tashkent urged caution in 2012 when the museum displayed a painting by Italian Renaissance master Paolo Veronese – which the museum called a lost masterpiece of western art – saying further work was needed to confirm the work was genuine. At the time, the museum also displayed a “long-forgotten” collection of Picasso ceramics.